First impression looks simple: it's just a an easy version of the thruster. But doing 150 wallballs as fast as possible with a goal of PRing your best time, makes it a bit harder. And sometimes even painful, ending with a "6/9-kilo slam" directly in your face. How to keep it efficient, fun and smooth, read further in a how-to article presented together with our partner site WODevents.eu. Stand approximately 0,5 meter away from the wall with your feet shoulder width apart. 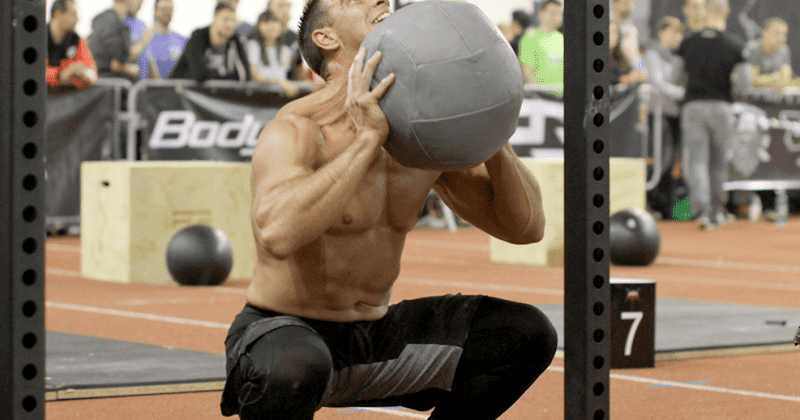 Grab the medicine ball, keep your back straight and clean it into the front rack position. Hips needs to reach below the parallel position. Keep your weight on the heels and start standing up: generate the power by driving your hips up. 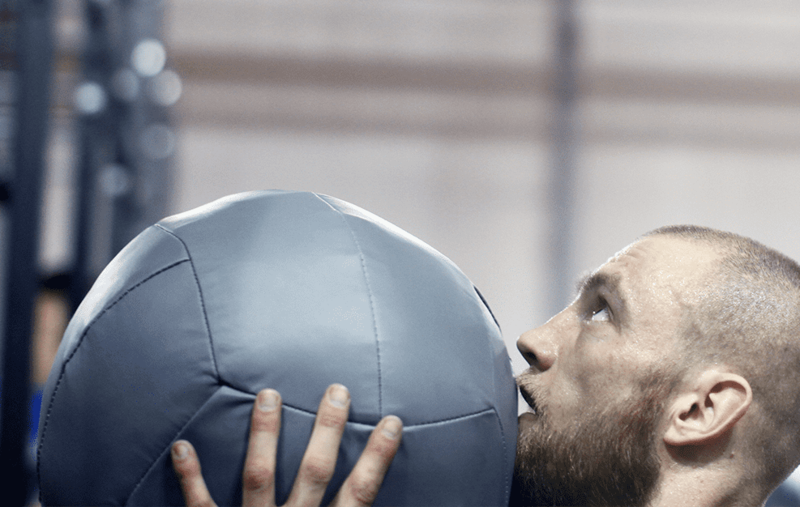 Within the momentum of driving and opening hips (up), throw the medicine ball towards the target. Aim to reach the full body extension. Use the force you generate with your glutes and hamstrings to accelerate the throw and to prevent arms from burning out. Hold the ball right in front of your face. Keep it in a support (front rack position) where your arms stay tight and under the ball. You’ll see a lot of competitors using their chins to help supporting/stabilizing it. Keep the movement constant and accurate. 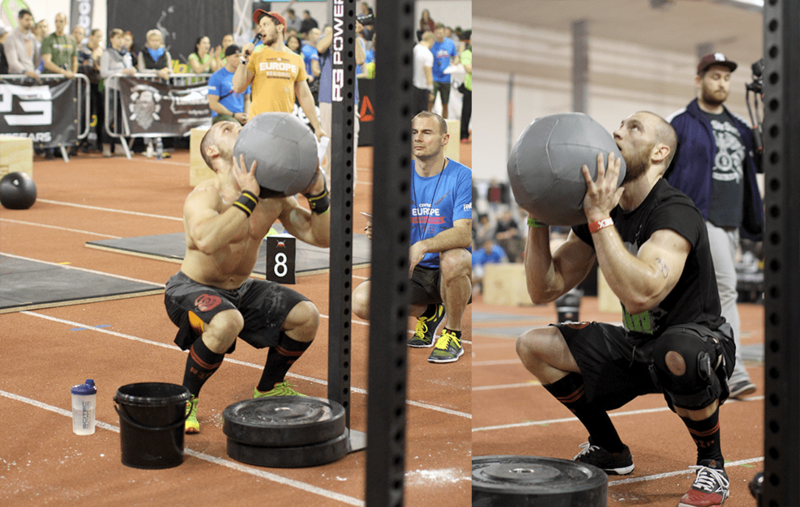 Hitting the target high enough to make a rep and receiving the ball in the same distance (from the wall). 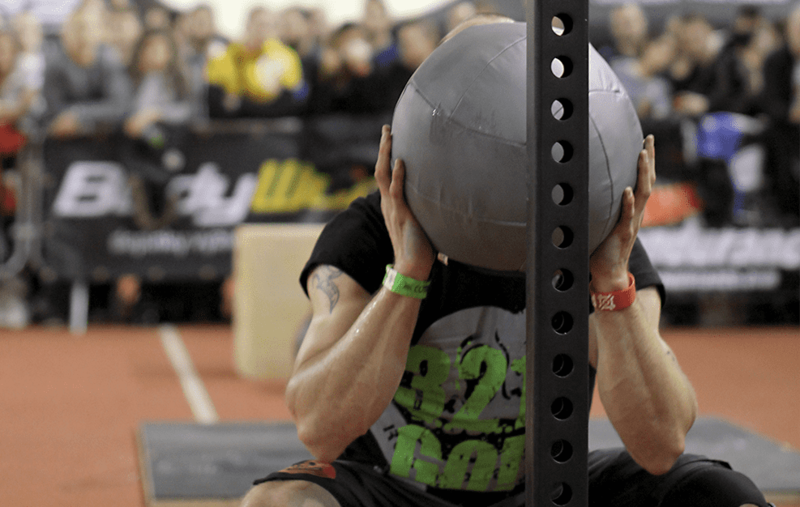 Stepping back and forth to catch medicine balls is not efficient and throws you out of consistency. If you need a bigger training stimuli, incorporate wallballs into Chipper MetCons.